Trina’s solar power projects business segment designs, constructs, operates and sells solar power projects in China, the U.K., the U.S. and other European and Asian countries. We engage in the full life cycle of solar projects development including project selection, design, financing, permitting, engineering, procurement, construction, installation, monitoring, operation and maintenance. We sell completed solar projects to third-party buyers, operate them under PPAs or establish other contractual arrangements with utility or grid operators. Trina’s quality controls cover every stage of project development, from due diligence to identification of solar projects with investment-grade internal rates of return. Our design and engineering team uses Trina Solar modules with 10-year warranties for material and manufacturing defects as well as minimum power output warranties of 25 years from the date of purchase or installation. We ensure all projects meet Trina Solar’s exacting technical and quality specifications. The Trina Solar design team is proud to have a rich history of innovation and design. Our design team uses smart energy tools to create the most efficient projects possible. Trina Solar is an entirely vertically integrated company. This reduces production costs and greatly improves a project’s competitiveness. Trina has a flexible and advanced business model for developing PV projects, which is administered by an experienced project management team and further bolstered by substantial quality control processes. 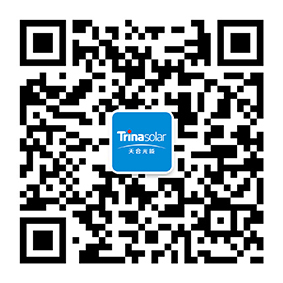 Trina Solar has a wide range of strong, cooperative relationships with many global banks and we have received strong financial support from Chinese state-owned banks. The scope of our project development services includes business development, Engineering Procurement Construction (EPC) contracting for PV power projects, and operations and maintenance (O&M) services. With offices located in China, Japan, the Middle East, Switzerland, the U.K. and the U.S., among other cities, Trina distributes to Asia Pacific, Europe, North & South America, the Middle East, Africa and other regions. We implement cross-cultural communication and management.